We believe in giving back to local communities. We show our appreciation for guests not only within our locations but also throughout the communities we serve by sponsoring special events open to the neighborhood, participating in charitable events and offering various donation and fundraising programs. Each year, we focus our efforts on a few organizations to make a larger impact. Big Brothers Big Sisters of the Ozarks (BBBSO) operates under the belief that, inherent in every child, is the ability to succeed and thrive in life. Locally and nationwide, BBBSO is the largest donor and volunteer supported mentoring network. BBBSO makes meaningful, monitored matches between adult volunteers (Bigs) and children (Littles), between the ages of 6 -14. BBBSO develops and fosters positive relationships that have a direct and lasting effect on the lives of young people. BBBSO’s vision is that all children achieve success in life. BBBSO’s mission is to provide children facing adversity with strong and enduring, professionally supported one-to-one relationships that change their lives for the better, forever. In 2013, we raised $18,235.58 through our Wendy’s restaurants in Missouri. To learn more about Big Brothers and Big Sisters of Ozarks here. 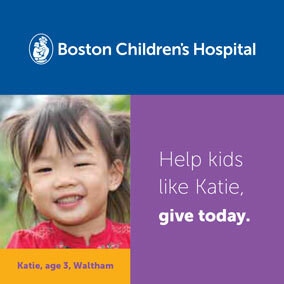 Boston Children’s Hospital is one of the nation’s premier pediatric medical centers. Founded in 1869 as a 20-bed hospital for children, today it is a 392-bed comprehensive center for pediatric and adolescent health care grounded in the values of excellence in patient care and sensitivity to the complex needs and diversity of children and families. Children’s is the primary pediatric teaching affiliate of Harvard Medical School, the largest provider of health care to the children of Massachusetts, and home to the world’s leading pediatric research enterprise. According to US News and World Report’s “Best Children’s Hospitals 2010-2011” edition, Children’s Hospital ranked first in more pediatric specialties than any other children’s hospital nationwide and was the only children’s hospital to rank in the top three in all ten specialties. 2015 marked our fifth year partnership between Boston Children’s Hospital and our 17 Boston Panera Bread bakery-cafes, and we exceed our fundraising goal with $129,021 raised. Learn more about Boston Children’s Hospital here. Children’s Miracle Network Hospitals is a non-profit organization dedicated to raising funds and awareness for the medical care of children, birth through age 18. Some are battling cancer. Some are suffering from a traumatic injury. Other requires constant care because they were born too early, or with a genetic disease. Regardless of why the kids are there, Children’s Miracle Network Hospitals always have their doors open. You can help by dropping your change in the donation boxes located inside all of our 35 Wendy’s restaurants in Missouri and Kansas. 2014 marks the first year of our partnership with Children’s Miracle Network Hospitals in Springfield, MO, Columbia, MO and Kansas City with 35 Wendy’s restaurants, and we raised $42,465.04 through our 35 Wendy’s restaurants. To learn more about Cox Health Hospital here. Children’s Miracle Network Hospitals of Greater St. Louis is a non-profit organization dedicated to raising funds and awareness for St. Louis Children’s Hospital and SSM Health Cardinal Glennon Children’s Hospital. Since our inception in 1988, we have provided over $40 million dollars in support. All of the money we raise stays local, equally benefiting these two amazing hospitals and helping them acquire new programs, equipment, and facility renovations to meet the needs of area kids. Nationally, Children’s Miracle Network Hospitals is an alliance of premier hospitals for children. Each year the 170 CMN Hospitals provide the finest medical care, life-saving research, and preventative education to help millions of kids overcome diseases and injuries of every kind. In our first year partnership in 2017, we raised $6,368.89 through our nine Noodles & Company restaurants. To learn more about Children’s Miracle Network Hospitals of Greater St. Louis here. The Dave Thomas Foundation for Adoption is a national nonprofit public charity dedicated exclusively to finding permanent homes for the more than 137,000 children waiting in North America’s foster care systems. 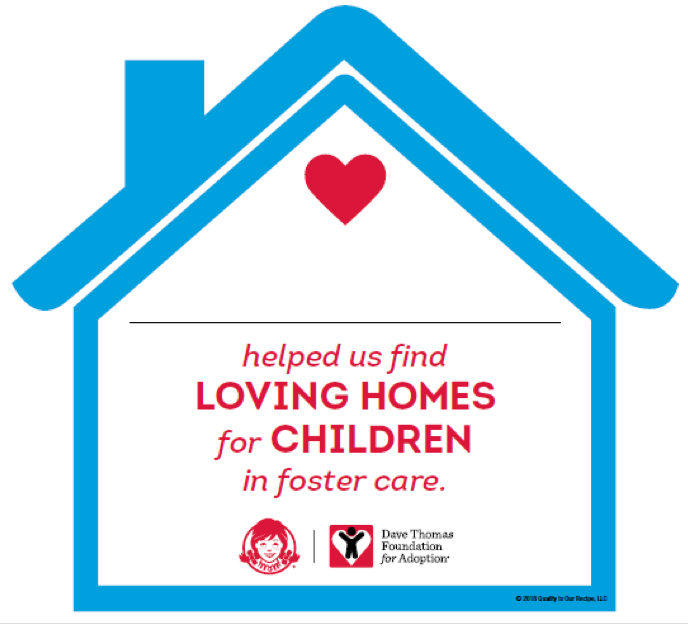 Created by Wendy’s® founder Dave Thomas who was adopted, the Foundation implements results-driven national service programs, foster care adoption awareness campaigns and advocacy initiatives. To learn more about Dave Thomas Foundation for Adoption here. Panera Bread strives to support community programs that reflect our core values and serve as a vehicle for outreach and support. In the Greater Chicago area, we have been partners with Make-A-Wish® Illinois since 2010 in giving back to our community. Make-A-Wish® Illinois was founded in 1980 after a little boy named Chris was granted his lifelong dream of becoming a police officer by his local community in Arizona. Since its humble beginnings, the organization has become the largest wish granting organization in the world, yet has maintained its grassroots fulfillment of its mission to grant the wishes of children with life-threatening medical conditions. Make-A-Wish® Illinois has granted over 12,000 wishes of children in the state. A catalyst for hope, strength and joy, a wish rekindles children’s belief in themselves and in the possibility of their future. 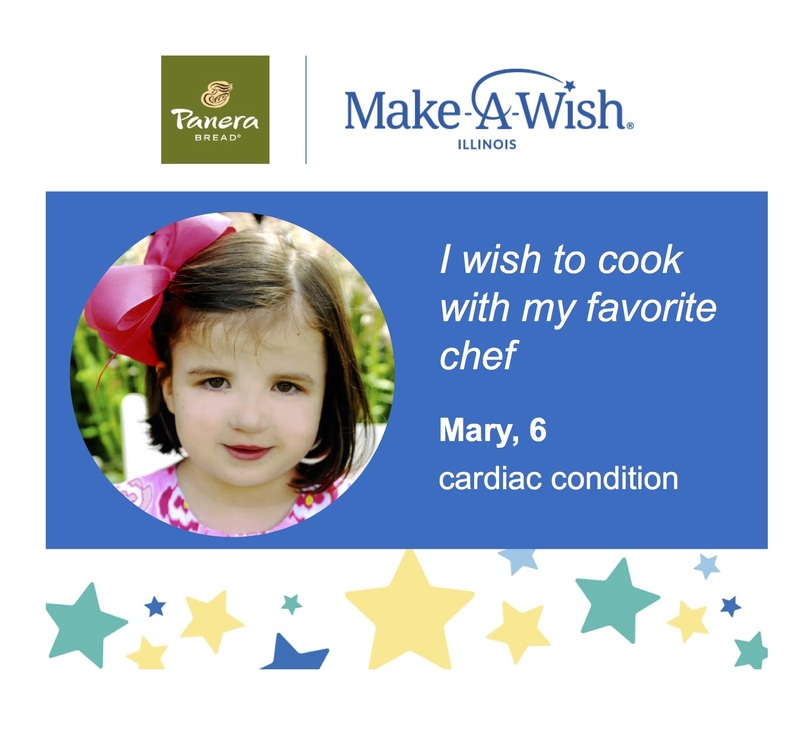 Each time one of our valued customers donates to Make-A-Wish® Illinois in a Panera Bread cafe, a child will have the opportunity to just be a kid again through his or her magical wish. In 2015, Greater Chicago area Panera Bread bakery-cafes’ lifetime giving to Make-A-Wish® Illinois qualified us for the second highest level of honor under the Chris Greicius Society of Giving! Named after the seven-year-old wish child who inspired the founding of Make-A-Wish, the Chris Greicius Societies of Giving recognize donors who have given over $100,000 cumulatively to Make-A-Wish® Illinois. Our giving qualified us to ascend into the Chris Greicius Society of Joy, recognizing donors who have cumulatively given between $500,000 and $999,999 to Make-A-Wish® Illinois. Learn more about Make-A-Wish® Illinois here. For more information about St. Jude Children’s Research Hospital here.